Bradford Central Lions Club donated a sum of £200 to Bracken Hill Primary School towards their Trim Trail Project. The school has raised over £3000 for the project which will cost £4500. Bradford Lions will raise the balance of £1300 by holding various events. 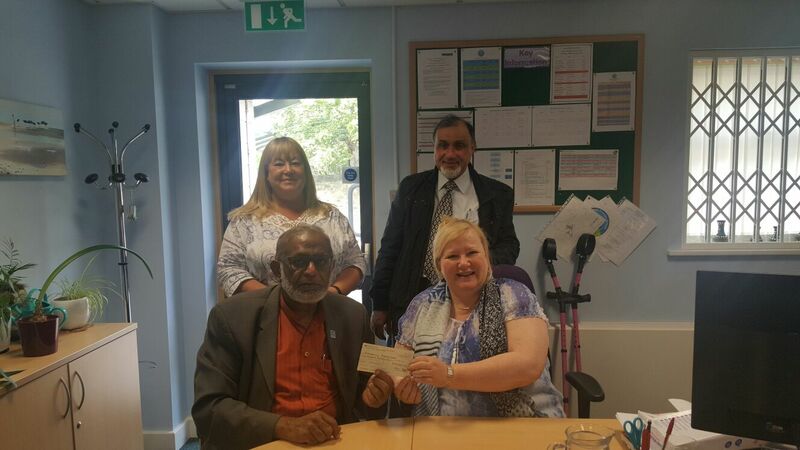 The photo shows Charter President, Amin Dada handing over the Cheque to Headteacher, Helen Mercalf. Standing behind are School Business Manager, Rachel Partovi and Abbas Mughal a member of Bradford Lions.